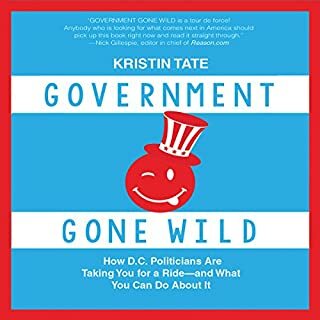 The author does a good job pointing out how the government has become mislead and now interferes with our basic freedoms as United States citizens. The author does put too much of herself and her stories in it making it a bit long-winded. This is 7 hour audio book written to tell you to stop being lazy by counting backwards from 5 to 1 and then just doing the thing(s) you didn't want to do. I can't believe there is a book for this, never mind a 7 hour book. The only thing that amazes me more is that it has such a high rating. Are people really that lazy that they need a psychological trick to get them to move? What has the world come to? Geez! The author rambles on and on about how lazy she has been in her life and how she needs to count to 5 to get moving. Then there are many other stories about people who are just as lazy and were helped by this method. I'm sorry, but I just don't get it. Steve has done the research so you don't have to. 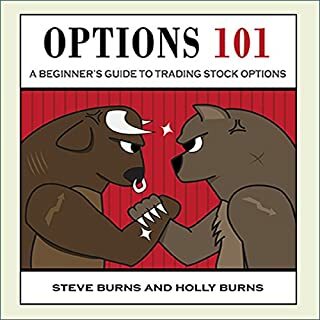 Many people think that options are too dangerous, but Steve effortlessly guides you through the principles of safe and successful options trading. These principles will help you build a strong trading foundation and keep you from succumbing to stressful situations that will cost you money. Don't over-leverage yourself, cause yourself unnecessary stress, and risk your capital. This is a quick review of stock options and is very general. I think it is more of a general overview as opposed to a beginner's guide. The information is good for 1 hour audio book although it is read a little quickly. 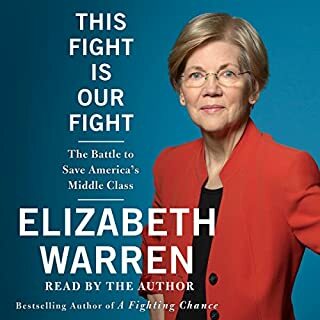 In this book, Elizabeth Warren uses a bunch of sob stories to promote a socialist agenda. There are more sob stories about people who have a hard life. What all of the people in these stories seem to have in common is that they have all made really bad decisions and expect the government to take care of them now. They need to grow up. Life is what you make of it. I'm not saying people don't need help in life. Obviously, some people are more capable than others but to suggest that SO MANY people are incapable of creating a good life for themselves is ridiculous. People seem to think they are entitled to so much. These are the lazy folks that are a drain on our economy. Again, life is what you make of it. 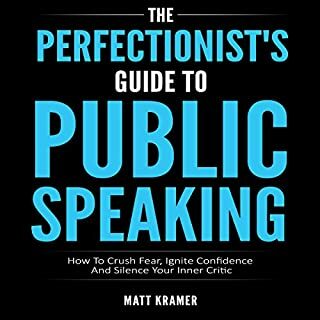 The book takes you on a journey through the eyes of the author, Matt Kramer, a perfectionist who was once petrified of public speaking. You'll hear about his embarrassing speaking moments as well as the raw, internal thoughts that once crept into his mind time after time. Lastly, you'll know after listening to this book that there is hope for you - that public speaking is not just for the Tony Robbinses of the world. It's for anyone who dares to break through their self-imposed barriers. Would you try another book from Matt Kramer and/or Gary Johnson? Contains some helpful info. The title is appropriate. Covers the aspects of giving a great speech. I did not finish it. 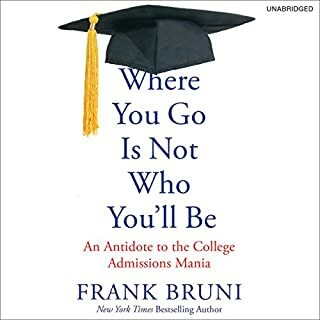 The point of the book seems to be that ivy league school are way over-rated. This I already knew. I don't need an entire book to tell me that. 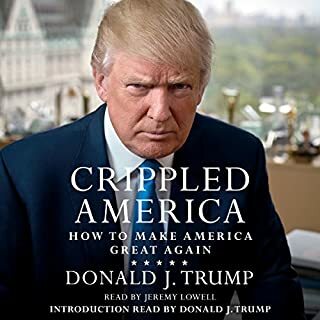 In this book, Trump explains his belief and plans on various topics such as imigration, economy, and foreign affairs. He has interesting and bold viewpoints but I can't say that they all make sense or that his solutions are even possible, expecially since he has no experience in politics and government. I bought it to find out more about Trump's beliefs and I didso the book has served it's purpose. If you could sum up Making Marriage Work (Live) in three words, what would they be? It's a must-read. 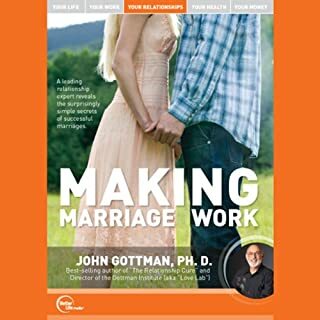 It is not everything you need to know to have a happy marriage but you can learn a lot from this book. 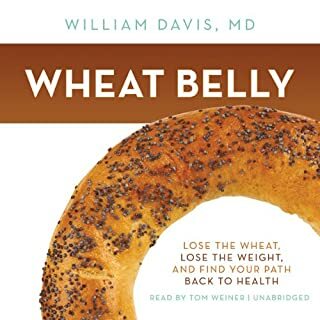 Interesting discussion of how bad wheat is for your health and how it has contributed to the obesity epidemic. What did you like best about Social Anxiety? What did you like least? The book was pretty direct and did not contain a lot of fluff. I bought the book in hopes of finding some useful information I could pass on to my young son to help him with his social anxiety. 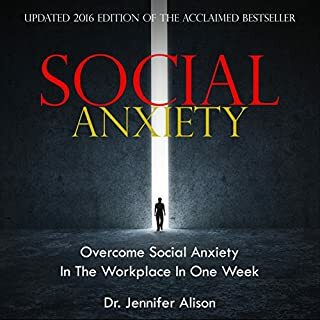 The book does a good job of recognizing social anxiety, discussing why it happens, and providing some good tips, but there is nothing mind-blowing here.